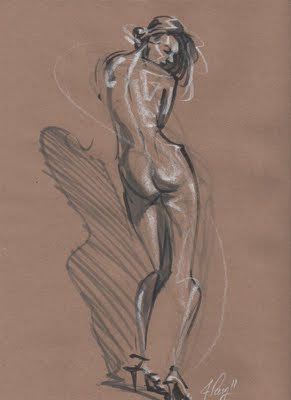 ASIFA-ATLANTA: New home for Joe Perry's figure drawing class! New home for Joe Perry's figure drawing class! Located above the SunTrust bank in the East Atlanta Village, on Flat Shoals Ave, where it intersects Glenwood Ave. Plenty of parking in the SunTrust lot, just behind the building on Glenwood. Walk around to the front of the building, enter through the glass doors and take the first door on the right upstairs to the studio. Class is Thursdays from 8-10 pm. The model fee is $5. Please bring exact change! Bring your own easel if you need one.